Lou Raykovich's Amsoil U.P. is an authorized independent Certified Amsoil Dealer offering the complete line of Amsoil products for all your personal, motorcycle/ATV, small engine, commercial, fleet, classic and race performance needs. Amsoil was the first company to develop synthetic motor oils in 1972 and remains the industry leader today. No other brand delivers in protection, power and performance like Amsoil. Amsoil testing is done by independent labs against other leading brands and the results are always the same, Amsoil is the best out there! Amsoil delivers maximum protection for all your automotive fluid needs. Cars, trucks, SUV's, motorcycles, classic, boats, 2-cycle, equipment, machinery and much more. 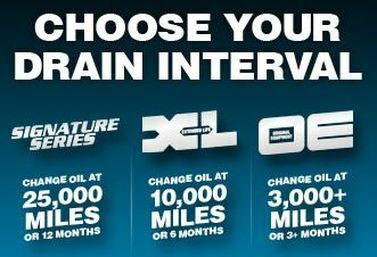 Amsoil's superior wear protection results in cost savings to you; with less oil changes, less engine wear, improved fuel economy, equipment lasts longer and many other additional environmentally friendly benefits. Engineered to reduce friction and heat more effectively than petroleum and leading synthetic motor oils do. With Amsoil, engines run cooler, wear less, get more horsepower as well as better MPG than they can with other leading oils. Amsoil motor oils remain stable in extreme heat and flow freely in extreme cold. Maximum performance and cost effectiveness are obtained when someone looks beyond the marketing and selects a product based on the data that supports it. We have all the data to prove that Amsoil is the leader in synthetic lubrication. Longer drain intervals and better fuel economy. All of this adds up to savings you won't find with any other motor oil. Convenience, protection, performance, less waste, more miles per gallon and so on. It's all a plus.